A lion roared in the distance as the sun set over the plains near Kenya’s Nairobi National Park. Hearing the noise, Nickson Parmisa, assistant chief of the local Maasai population, turned on his solar-charged battery, causing his metal and plywood house to be bathed in a blue light. As his wife cooked potato stew using a gas burner powered by cow dung, Parmisa turned on his iPad to track a radio-collared lioness that had been on a livestock-killing spree. The lion, nicknamed Athi, was nearby, the iPad confirmed, but Parmisa was at ease. 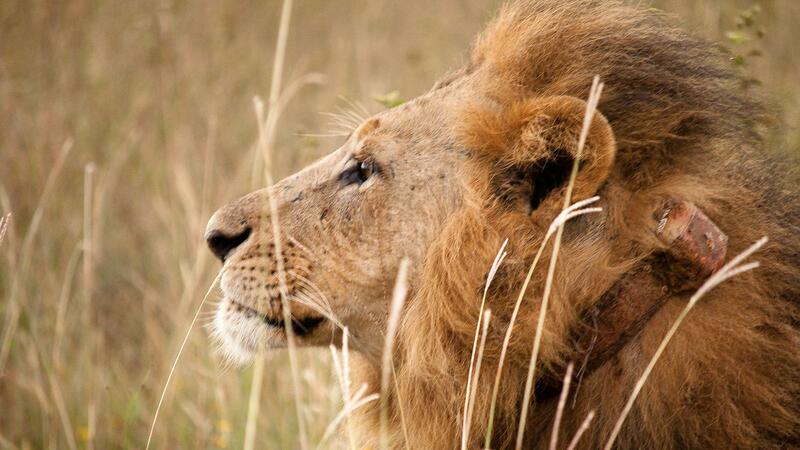 Lions have traditionally been the Maasai tribe’s greatest adversaries. They are a deadly threat to the cattle and other livestock that are both an integral part of Maasai culture and the tribe’s greatest source of wealth. In the not-so-distant past, young Maasai men had to kill a lion to pass their initiation into adulthood. But now the tables have turned. Despite the ongoing livestock predation, lions may be the tribe’s strongest hope for preserving their way of life. Read more at BBC Travel.